Some folks might call it "Americana"- we call our blend of old-school country, bluegrass & rockabilly "Music with country heart and a Southern Soul". To be released June 2009, Ain’t No Kind of Blue is the band’s third and most promising album to date. Produced under the direction of Carlette West, whose career as a professional vocalist has included work with Pat Boone, Nancy Sinatra, and the Everly Brothers, the new recording features 14 original songs on love lost and found, the nostalgia of Southern home life, and a healthy dose of babes, beer and blues! Previous releases include Too Many Cars in My Yard (2005) and Moonshiner’s Daughter (2003). Founding members Arnie Jones, Van Abernathy and J.D. Holt (on guitars, mandolin and bass) are longtime friends from Sumter, SC and currently based in the Columbia area. Full-time drummer and newest member Anthony Sightler rounds out the core group. At home or on the road, the foursome is regularly joined by a rotating cast of supporting musicians (aka “Guest Biscuits”) who add dobro, lap steel, banjo and harmonica to the mix. Guest Biscuits on the new album include Trevor Michael on dobro & harmonica, Allen Hinnant on dobro, Steve Huggins & George Fulton on drums, Steve Schwartz on banjo & guitar, Doctor Larry Klein (longtime host of “The Bluegrass Sound” on SC Public Radio) on dobro, and backing vocals by Carlette West. With large doses of southern charm, musical diversity and high energy performances—not to mention those fabulous rhinestone jackets—the Biscuits continue to build a strong following in South Carolina and beyond. Longtime friend of the group, Pat Williams, proprietor of Lonestar Barbecue & Mercantile in Santee, SC says: “The Black Bottom Biscuits are always a crowd favorite. The audience enjoys the original, often times, localized songs they write, plus the group does an excellent job with a variety of traditional country numbers. With the singing and the gyrating that Arnie does, you feel like "Elvis has entered the building!" The band is currently securing tour dates and venues to promote the new album, and looking forward to what they hope will be a busy summer and fall performance schedule. 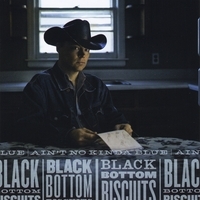 The Biscuits have opened shows for national and regional acts including Sam Bush, Nickel Creek, Southern Culture on the Skids, Drivin’ & Cryin’ and Julie Roberts. They’ve enjoyed airplay on the internationally syndicated King Pup Radio Show as well as SC Public Radio, WUSC 90.5 (Columbia) and WAGS 1380 AM (Bishopville). The band’s 2005 appearance on SC ETV’s Bluegrass Express program was also broadcast statewide.